Editorial: This post comes from a Belgian colleague. Belgium’s best-selling pop singer Stromae has been talking about his drug-induced illness all over the media since last year. He claims the anti-malaria drug Lariam (mefloquine) made him instantly psychotic and caused long-term anxiety problems which have already persisted for 3 years after stopping the drug, and still counting. See this account in the Guardian and this elsewhere. It is not that I don’t believe him – we should give him the benefit of the doubt in matters like these – but in a country such as Belgium, which has the highest prescription rates for benzodiazepines in the world, and also very high antidepressant and antipsychotic use, not a single person has ever been allowed to blame his symptoms on a prescribed drug. Ever. There are literally ZERO confirmed and officially recognized cases of benzodiazepine withdrawal syndrome in Belgium. Certainly my protracted withdrawal syndrome has never been validated, and I was on 7 different benzos, all on prescription and taken as prescribed, for nothing more than plain insomnia. I was also taken off the tablets abruptly no less than 6 times, by the best psychiatrists of the country. So what’s the deal with Stromae then? His doctors believed him instantly, and his diagnosis “sick as a result of the pills” is doubted by no one. He can talk about his illness freely without anyone stopping him. If ordinary mortals like myself say the drugs made us ill they treat us as attention-seeking loons. It’s also interesting to note that the singer openly admits he was already on the verge of a nervous breakdown prior to taking Lariam. I looked up the frequency of serious complications with this medication and all sources say it is only 1 in 10.000. I assume this is an underestimate but still the actual percentage would never be as high as 15% of users, which is how many benzo users get into serious trouble with also long-term damage after quitting (as in YEARS). Roche by the way are responsible for both Lariam and the benzodiazepines. I’ve already told our Minister of Health that I don’t have to take this. Millions of Belgians are with 100% certainty sick because they take prescription drugs, and none of them is ever believed. But now a celebrity says he was damaged by medication he took for a couple of days 3 years ago and he gets away with it. I have not received a reply from our Minister of Public Health yet regarding the Stromae case versus the total neglect of benzo victims. But I know she reads my e-mails, or at least her staff does, because in the past I have received replies on different matters. Also in my letter of complaint to the minister was this: in January, a leading Belgian child psychiatrist denied on live TV that we prescribe too many antidepressants to children. He actually suggested that there’s a problem of under-treatment. The word ‘side-effect’ was not mentioned once during the 15-minute interview. He blamed just about everything and everyone for the failing mental health system… except psychiatry and its pills, because those never fail. He also added that psychiatrists are perfectly aware of the scientific guidelines when prescribing drugs, and that they always follow them. I wrote to the TV channel that aired this interview and I demanded that the psychiatrist in question takes back his words. They promised me they would look into the matter, but it’s been several months now and nothing has been done about it. 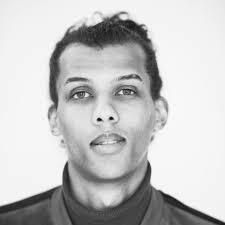 If you’re in need of an appropriate title for an article on Stromae and his officially acknowledged side-effects of a prescribed drug, here is a suggestion: ‘Tous les mêmes‘, which is French for ‘Everybody the same’. It’s also one of his biggest hits. hIf everybody is equal, then why is he the only Belgian ever in history whose side-effects are validated? My point is that my case against the pills and the doctors who prescribed them to me is certainly very much stronger than Stromae’s case, given that he was already mentally unstable before the Lariam, which he also admits. And then there’s the 1 in 10.000 frequency of serious complications with Lariam, which is also very much lower than the 1 in 7 who develops protracted withdrawal symptoms from benzodiazepines. I think you can understand my frustration. And it’s not just me but literally MILLIONS of Belgians who are in a similar position. The benzodiazepine withdrawal syndrome is NEVER diagnosed in Belgium. Ever. Nor are the side-effects of antidepressants and antipsychotics. Every psychiatrist told me they had never seen a single patient who had trouble coming off those drugs in their entire career. So I’m making up my symptoms, they said, because there’s no other explanation. We seem to be much better off than you in some ways as antidepressants are always in the news in one way or another and we do have television and radio programmes highlighting the problems. But and it’s a big But, it seems to just roll off the backs of Professional Colleges, Politicians, Most Psychiatrists and GPs with an almost complete denial that there is a problem and as you have probably read, prescriptions are through the roof and because of this the whole country deems it fit and useful to now give them to very young children and teenagers with almost no thought of consequences. It has taken a very long time to get any sort of publicity about the downsides of these medications in to the public eye and there is an overwhelming body of people who are convinced that these drugs are crucial to their well being. Much of this may be to do with the confidence that psychiatrists and general practitioners have. We always, always come back to the old chestnut that if you suddenly stop your medication or have just started your medication or the medication is changed, then it is your ‘mental illness’ returning or you are ‘treatment resistant’ or you are ‘fabricating the symptoms’ and this is something that an ever growing core of bloggers, activists, the harmed and the bereaved are shouting out about. But, it is relentlessly hard work when a whole community of mental health professionals and workers won’t budge from their positions and this is what you are up against. As a Belgian, where things are evidently quiet, your very articulate “If everybody is equal, then why is he the only Belgian ever in history whose side-effects are validated? Yes, I can share your frustration. I sat face to face with 2(!!) psychiatrists, of which atleast 1 was a professor of psychiatry, and pled for them to help me figure out what was happening to me. I had tears in my eyes, despite Seroxats way of making it virtually impossible to cry. They had ‘generic’ answers, nothing that could explain my behaviour. Not a single word was mentioned of how my pharmaceutical, Seroxat, have had this ‘untold’ side that explained it all, l-i-t-e-r-a-l-l-y all. Not mentioned, not even a hint that it was suspected to cause similar issues. Oh, and by the way, it was done in a “forensic psychiatric evaluation”. No man wants to be in one, no man wants to be so absolutely unsure of ones own behaviour that he asks to be evaluated in one. How can you possibly think the professors of psychiatry there aren’t the least interested in the transformation from the most well behaved and humble guy, to the very far end of the scale on the misbehaving side? It wouldn’t make any difference if I lined up every person of authority I met before Seroxat, from school teachers to officers in the millitary to family and friends. Professors in psychiatry would still have the final say. And they are allowed to defy all logic. So yes, if the drug is used within psychiatry, you can expect the “experts” have never seen any poor outcome. Very very good serious and moving podcast from @RoySocMed and @ClareGerada on suicide in doctors. Yes I am a bit biased, but really it is very good. Thank you for writing this blog post Fiona. I have also noted that my College only circulates information promoting the benefits of SSRI antidepressants. In my view this is both unethical and unscientific. All interventions, of any sort, have the potential for benefits and harms. I am concerned that leading College representatives use language such as “pill-shamers”, “demonisers”, “anti-medication cults” and “villains” to describe individuals who have simply shared less than positive experiences of SSRIs. Not infrequently these same thought leaders then give lectures on stigma? In this regard I am ashamed of my College. I am also concerned that my College simply is not being up-front about the dearth of evidence to support long term “maintenance” treatment with antidepressants. Yet my College is happy to seemingly encourage the spinning of what science can say (I am thinking of the recent Lancet meta-analysis). I note that Professor Sir Simon Wessely has a founding role in the Science Media Centre which, due to significant competing interests, I personally do not trust as being free of considerable biases. In my view it is a philosophical and scientific error to compare mind-altering drugs with treatments such as Insulin or medications for blood-pressure. It is also NOT the case that only psychiatric drugs are “stigmatised” . . . just consider, for example, debates on statins, analgesics and antibiotics. Thanks for allowing me to share a few thoughts. Its what all doctors do. We trust the MHRA and NICE. Remember most antidepressant prescribing is done by GPs. Even if raw data available they couldn’t possibly check it for every drug that they use. I was prescribed Diazepam (Valium) for severe muscle spasm from a herniated disc that was not treated properly and lead to a piece of disc getting in to the spinal canal. I was then left on the Diazepam for 20 years. Not one of the many GPs who repeat prescribed it ever mentioned that it should only be taken for 2-4 weeks or that it causes physical dependence and can be hell to withdraw from. Last year I tried to withdraw. The symptoms have been utterly devastating. My life is completely ruined. The muscle symptoms of withdrawal became so severe that a I was diagnosed with severe segmental dystonia and given a Baclofen which was also horrific and which I then had to also stop taking. I literally looked like a I had cerebral palsy. I have also lost sensation throughout my body and became phobic of touching everyday objects to the point where a I was in a constant state of terror. Prior to withdrawal I had NONE of these problems. I had to reinstate in March because the symptoms of withdrawal were so bad after 4 months off of the drug that I no longer wished to be alive. I am now having to taper off again because the diazepam no longer works as it did prior to my attempt to stop taking it. I am in no way unusual. Online there are tens of thousands of people howling in pain and desperation because of the damage that has been done to them by these drugs and, yet, nobody seems to care. Many people have very severe withdrawal even if they taper slowly or have only taken Benzodiazepines for a short time. Many suffer for months or years from withdrawal symptoms, many lose jobs, some their house and partner. The illness that withdrawal can cause is profoundly life-changing and needs to be treated as the very serious illness it is by Drs who prescribe these drugs. There needs to be specialiast services to help people through this deveststing and disabling experience. All Drs should read this and then be aware that many people find even her taper rates to fast. I am still in severe withdrawal and hope I will have stopped taking the diazepam by the end of the year – so in another 5 months and then I will have to go through months of acute and very severe symptoms. I hope my brain will recover quickly after that but there is no guarantee and last time a I was in acute withdrawal I wrote my funeral plan. Many people kill themselves because they are unable to tolerate the symptoms. MISSD signage is now on CTA busses and trains! MISSD signage will be advertised on 100 trains and busses in the Chicagoland area. We hope this signage will reach an even bigger population and create more awareness about medication-induced reactions and akathisia. (6) Professional and institutional denial. I am certain that healthcare workers find considerations that their interventions may have caused harm as difficult to contemplate and even harder to openly acknowledge. Defensiveness is a very human reaction. Thanks Fiona I have just commented on the RCP website about how polarising Burn And Baldwin and the College hierarchy have been with their suppression of research on their own website. Let’s see if they suppress that too. Roche seem to have a penchant for releasing drugs which have dire inexplicable neurological effects, (Lariam, bentos, and RoAccutane the acne drug) and then when challenged with our evidence, hold up their paws in naive mock innocence and say “ of course, we do not know how they work.” Shades of ‘George’s Marvellous Medicine’ by Roald Dahl. Mix up some stuff and get some mugs to swallow it and if it does something useful, wave the flag of self adulation, and if it doesn’t, well, tough, you’ve shrunk your granny, but she was a pain anyway so no harm done. All these streams and shoals of patients bleating about feeling anxious, we have the perfect solution, give them meds, in particular by Roche, and only a small number will be left with the mental capacity to query what’s in the mixture. Interesting piece called The Chemical Tiger on ‘BBC Radio 4 Science Now’, Thursday last week, 9pm. It was giving us a profile on the fluoride element. Why is it used in flox antibiotics and in Fluoxitine (Prozac)? Not, as one might assume, to keep one’s snappers in good nick, no. It’s used to slow down the body’s metabolising process, to keep medications in the body for longer. Just what we all long for, of course….. especially meds where no one knows what they are up to, lurking in the body anyway. Hence Lariam only needs taking once a week, even if it renders you, like 30,000 other reported cases, mentally mucked up, just think how handy it is only to have the inconvenience of swallowing it once a week instead of daily. Gosh, thanks Roche, how convenient and thoughtful, and a neat selling point for the army personnel on the front line forced to take it, but not, one understands, their ex Commander in Chief and his son, who are much too canny. Wish Roald Dahl was still around. He’d raise some alarms, and was afraid of no one. I am the author of the letter that dr. Healy was so kind to post on his blog. Thank you for all your comments. First of all, I am not a doctor or psychiatrist so when dr. Healy is referring to me above as his “colleague” that may sound a bit misleading (I apologise if I made the impression that I am a medical professional in my e-mails to you, dr. Healy; that was certainly not my intention). I am, however, suffering from a severe case of post-acute withdrawal (or whatever you want to call it) after having been put on a total of 15 psychoactive drugs including 7 different benzodiazepines. Not all at the same time but often in combinations of 3-4 drugs. I was switched, lowered, raised, taken off abruptly and put on different cocktails like there was no tomorrow. So I feel my experience with all those drugs made me an expert on the matter, much more so than the doctors who prescribe them without knowing what they are prescribing and how the drugs affect the brain. I have no mental illness that I am aware of or that any psychiatrist was able to detect despite years of close observation (including 15 months in a mental institution). And even if I had, can anyone name the disease or disorder that requires treatment with 7 benzos, 4 antipsychotics and 4 antidepressants? It is perfectly clear, to me at least, that the first drug I was given for insomnia (lorezepam) turned on me very quickly and that all the other ones were added to combat the side-effects of the previous ones. Not to mention I was taken off the benzos abruptly at least 6 times, which could easily explain why I was so symptomatic. Unfortunately, all my doctors and psychiatrists ever did was add more drugs. They never thought of side-effects or withdrawal. “Always blame the patient. Doctors and pills never fail.” That’s how they think and how they operate. Nobody ever bothered to ask the question how come I was in perfect health before the drugs and fully functioning, including working full-time. Of course, I am fully aware that this is a global problem and that it is not restricted to benzodiazepines only. Except that Belgium is a peculiar case as it has had the highest prescription rates for benzos for decades (higher still than Japan) and at the same time almost no recognition of the problem. Cancel “almost”. There is NO recognition of the problem. While it is true there have been some campaigns lately, mostly because of my personal complaining with the healthy authorities, none of those focus on or even mention the serious long-term consequences after stopping the drugs. Even the withdrawal process itself is portrayed as easy and unproblematic (some self-proclaimed “experts” even suggest adding new drugs to replace the benzos, and that should solve the problem; other “experts” are convinced that if you can’t get off easily in a few weeks you need to take the pills for the rest of your life). There is no such acknowledgement on behalf of Belgian psychiatry. Unlike Britain, there have never been any cases in Belgium of financial compensation either for sustained benzo damage. Which is odd if you know that benzos are prescribed three times more in this country than in the UK. As for antidepressants, the RCP in the UK tweeted last year that the chemical imbalance theory is an old idea and that they do not support it. So at least they are admitting that. In Belgium, however, there is currently a national campaign – a so called “anti-stigma” campaign – that actually promotes the chemical imbalance theory and of course the antidepressants to correct it. Even worse, the target audience of this particular campaign are children and adolescents, who shouldn’t even be prescribed antidepressant drugs. I have made numerous complaints about this as well, but nobody even bothers to reply. Needless to say nothing is being done about it either. I have been ignored and neglected for 7 years now, since I came off all my drugs and started my own fight to get to the bottom of this and to make the ones responsible pay for my own losses and for this global tragedy. I am sick and tired of not being taken seriously – and also physically sick and tired because of my benzo illness – and that’s why I wrote to dr. Healy. I’m hoping that the international attention will scare the hell out of the medical profession in my country. But it probably won’t. They just don’t care. I am also still waiting for an answer to the question why I was put in the loony bin and drugged into a stupor simply for having insomnia. That’s how all this misery started in the first place. I should never even have been sent to psychiatry.